So, this is my first week of working on the marlin. 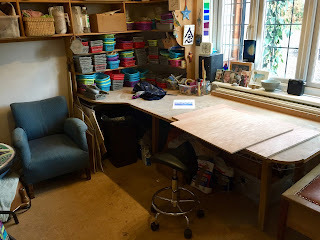 My studio is all ready and I'm looking forward to starting. 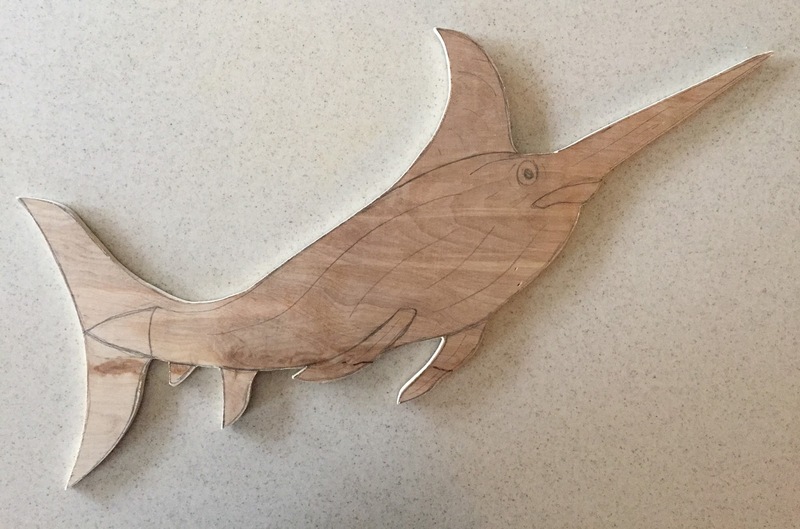 I needed to have the wood cut to start with. I have used 9ml exterior plywood for it - I could have used mdf but I prefer to use wood if I can. 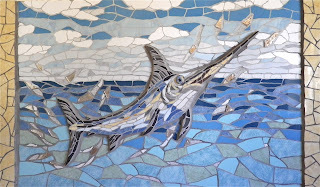 The main board is 60cm x 90cm, which isn't far off the original marlin mosaic - see below. My clients didn't want a border for their commission, leaving more space for the fish, sea and sky. I drew the shape of the marlin on the plywood, as I will be making this separately first, and then will stick it onto the background board to really give the mosaic the 3D feel of the marlin leaping out from the sea. 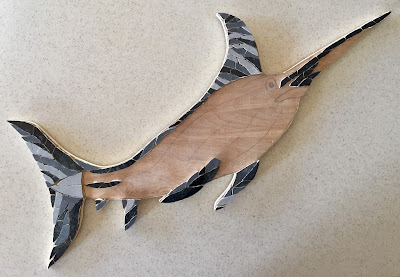 Once the marlin had been cut out, I sanded the edges and added the details of the fish as guidelines for when I mosaic. It is always exciting when I cut and stick the first tile! I usually start a large mosaic by cutting and sticking shades of one/two colours first. 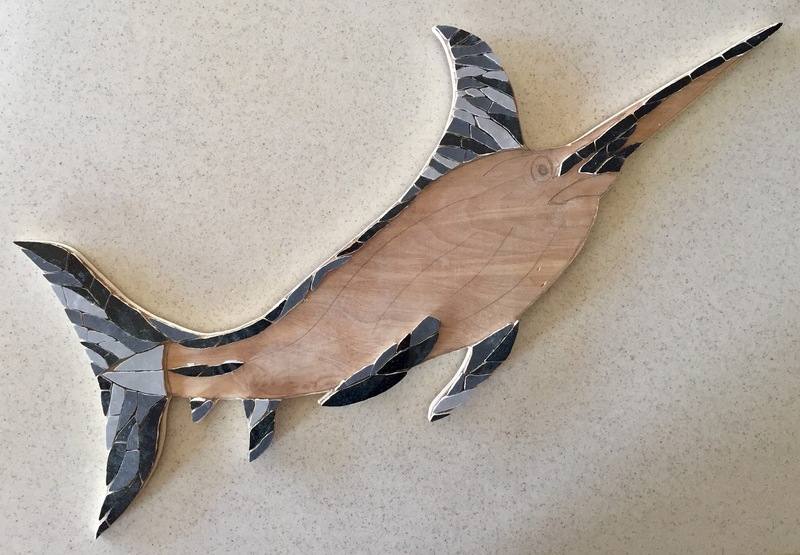 With the marlin, I started with the fins and tail which are black and grey tiles. 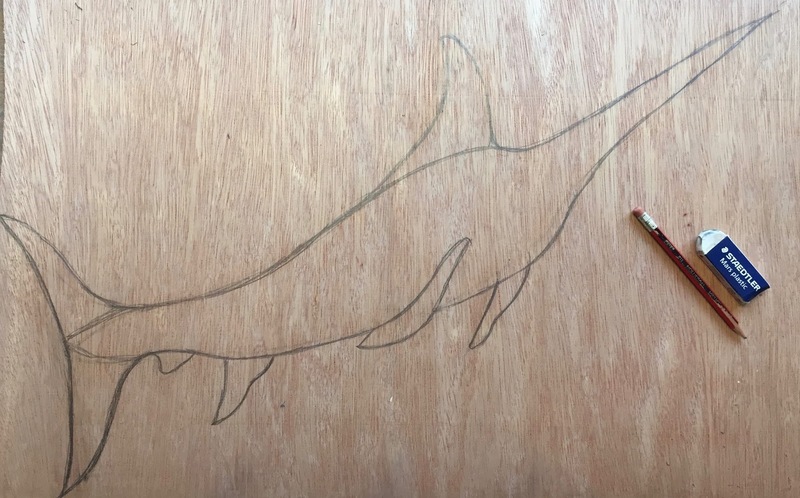 As I cut and stick, I am thinking of the movement of the fish, and the light catching the fish as it jumps from the sea. I use the spaces between the tiles as well to create this movement. 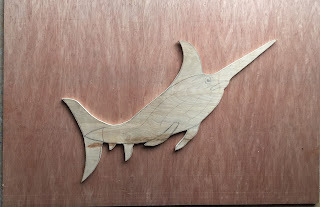 This is how it looks so far, as I gradually build up all the different movements, textures and colours in the fish. 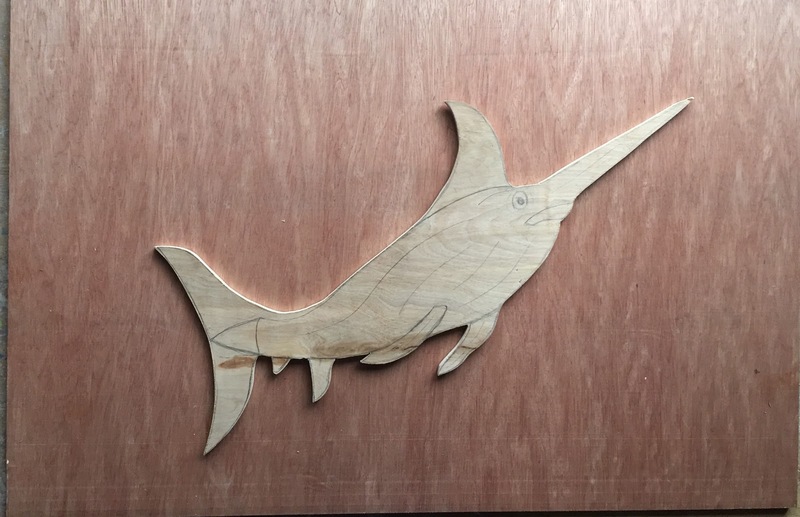 Next week, I shall fill in the rest of the fish, with the eye and the mouth always being the most difficult parts! Look out for my next post and see how it takes shape.